Newmark Knight Frank is marketing the Watergate Office Building at 2600 Virginia Ave. for owner Rockwood Capital, which paid $75 million for the building in January 2017. 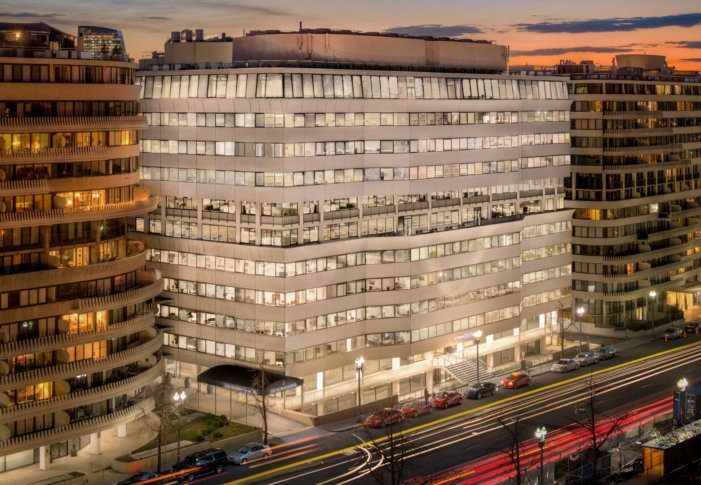 The infamous Watergate Office Building in Washington, D.C. is on the market, just over two years after its current owner bought it. Newmark Knight Frank is marketing the Watergate Office Building at 2600 Virginia Ave. for owner Rockwood Capital, which paid $75 million for the building in January 2017, according to the Washington Business Journal. The building recently underwent a $14 million renovation. What was once one of the world’s most glamorous hotels soon hopes to reclaim its former reputation. After undergoing a $125 million renovation, The Watergate Hotel will reopen its doors this summer. The 215,000-square-foot, 11-story building was built in 1967, and is well known for the 1972 break-in to the Democratic National Committee headquarters. “The Watergate Office Building is one of the most storied buildings in the United States,” said NKF Executive Managing Director Jud Ryan. The Watergate Office Building is 90 percent leased, and serves as the headquarters for 10 of its largest tenants. The building directly connects 336-room Watergate Hotel, which reopened in 2015 after a $125 million top-to-bottom renovation. 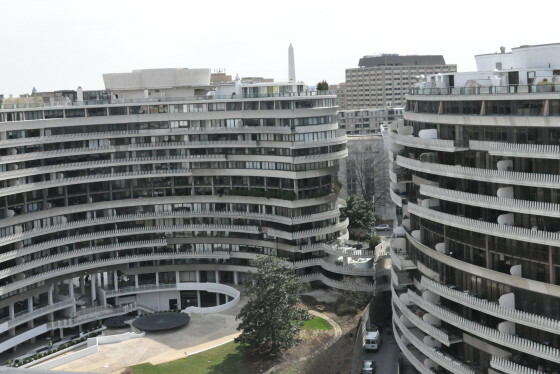 The entire Watergate complex, designed by Italian architect Luigi Loretti, includes six buildings around a retail plaza. One of the buildings, 600 New Hampshire Ave., sold in 2017 to Washington Real Estate Investment Trust for $135 million. The Watergate got its name for the terraced steps to the river from the western side of the Lincoln Memorial.